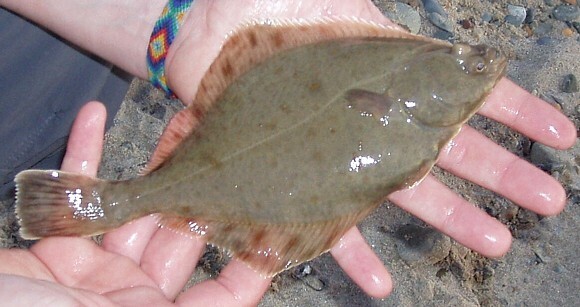 The north coast of Wales is a great place to catch flounders. As we were staying at the Shell Island campsite which is situated between Barmouth and Llandanwg on the north west coast, the opportunity was too good to miss. The beach is a long and sandy with rocky areas to one end and a gully where the two meet, and this it the spot where I decided to fish. Although I had never fished for flounders before, I was assured by the local bait shop that it was a good spot to give it a go, but fishing in the surf was new to me. Would the fish really come in that close? 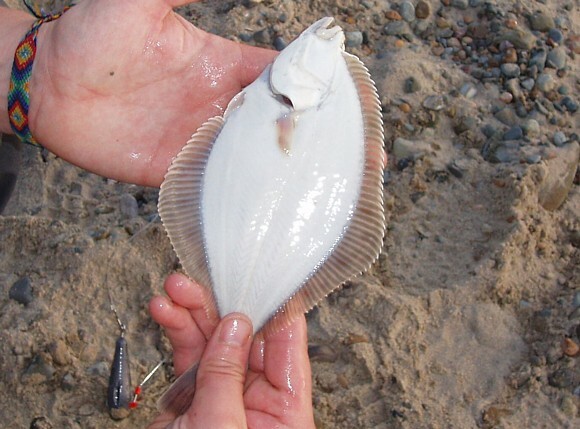 I decided to use a single hook flapper rig which was designed – according to the packet – for flatfish and other smaller species. I was also told by the bait shop to use strips of Bluey’s, which are basically very oily fish about the same size as mackerel but with a distinctive blue tinge. Having never used them either I was a little unsure but went with it. 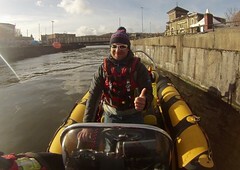 I picked a tide which would be at its highest at dusk, and headed for the beach. After about 10 minutes of casting my baits into the gully, the rod-tip started to bounce around and a small eel came out of the surf. The fish really were in the surf and close to the shore. Two more eels later and I had a small tapping which I struck on and low and behold a small flounder came flapping out of the surf. Not a big fish but a first for me and a real lesson in sea fishing. I also had another flounder that session and missed a fair few too. 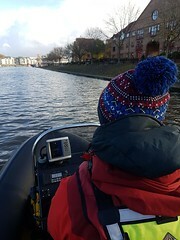 It is always great to find out a new technique when fishing and it can also attract the resident Bass and Mullet in the area. There will be more trips fishing this way in the future for sure.